Some people have a flexible lower back. Some have not. Some people have long muscles. Some have not. Some people race crits. Some do not. Some people love descents. Some don’t. 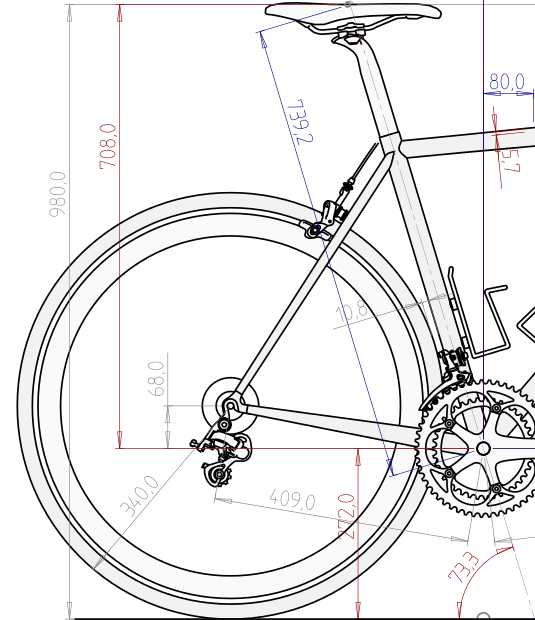 These are extremely personal factors that should affect a bike’s frame design. 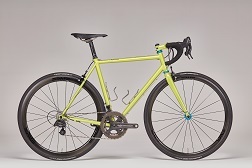 A rider-specific bike design consists out of two parts. The first important part is the rider’s position on the bike. 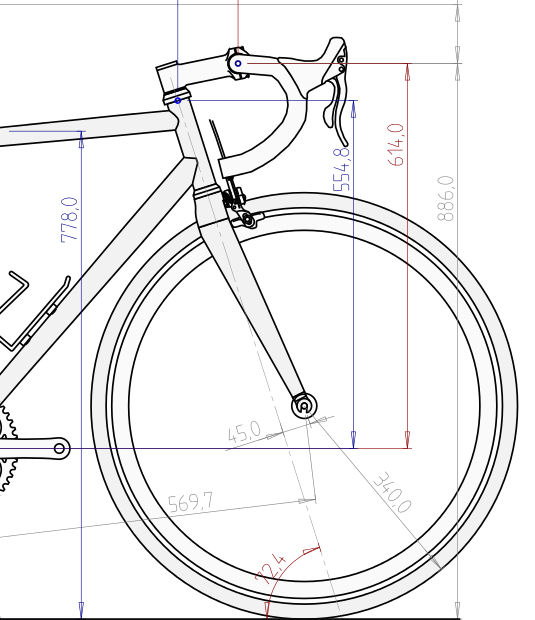 Given a riders physiological characteristics, we need to determine the optimal position of saddle and handlebars, relative to the bottom bracket before we start making a frame design. Some people have a flexible lower back. Some have not. Some people have long muscles. Some have not. These are extremely personal factors. Formula based methods do not include these factors and are of limited use in determining your optimal position. 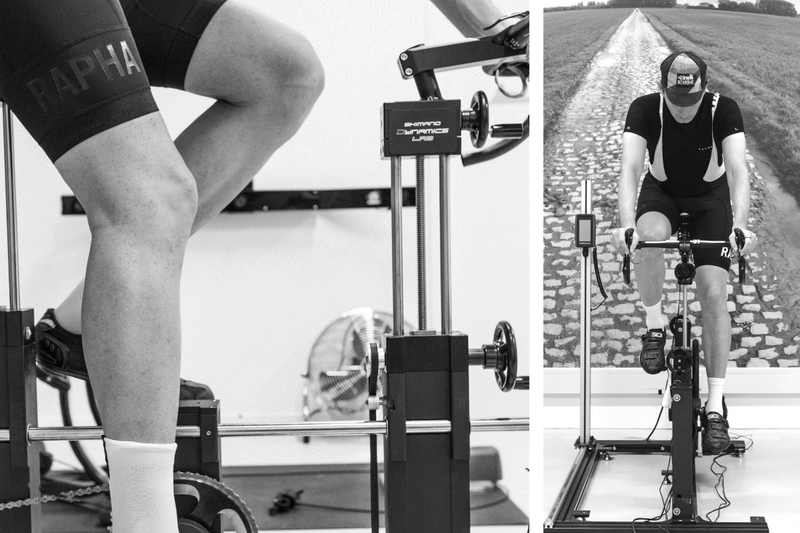 We work together with our selected partners SportMax and Pedaalkracht to determine your optimal riding position, using a dynamic bike fitting method. Over the years, our partners have developed and refined their bikefitting method and have arrived at being known experts in the field. When we design your bike, it starts with a blank drawing with just your three contact points with the bike that resulted from your optimal position found in the fitting session: your hand -, saddle – and bracket position. 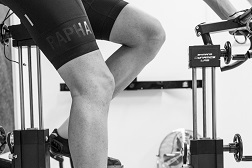 By designing the bike with your optimal position as a starting point, your pedaling efficiency is increased and the chance for injuries is decreased. Did you do a bike fitting before or do you prefer a bike fitter of your own choice? We can as well start the bike design from that bike fitting results. 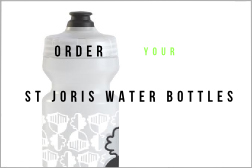 Designing for the optimal fit is only half of the story. Tuning ride characteristics is as important for your riding experience! 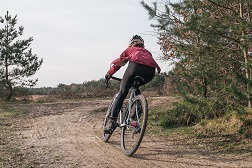 The second – equally important – aspect for your riding experience on the bike is the handling of the bike. 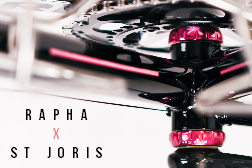 Having your St Joris custom build allows you to have your bike designed in such a way that the bike’s steering and riding characteristics meet your specific demands and riding style. 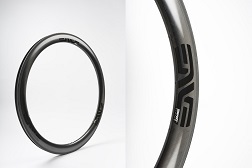 Is your bike going to be a comfortable long distance bike, a bike with ultimate control in descents of the Italian Dolomites during your cycling trips or are you racing crits with it? To optimize the handling of your bike, we will evaluate your riding style and intended use of your bike. We take into account the head tube angle, fork rake, bottom bracket height and wheelbase to tune the handling of your bike. 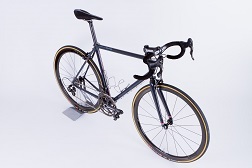 Our custom design process allows you to have your bike build with uncompromised riding performance. 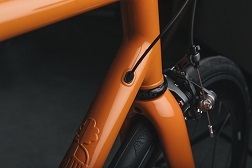 Whether you feel one with your bike or not depends on small details in the balance of your bike design. The distribution of your weight over the two wheels is one of those details. But so is the bracket height, wheelbase and the flop of your fork. We combine our insights into bicycle-dynamics with our experience as cyclists ourselves to design your bike as rider-specific as it can possibly be.